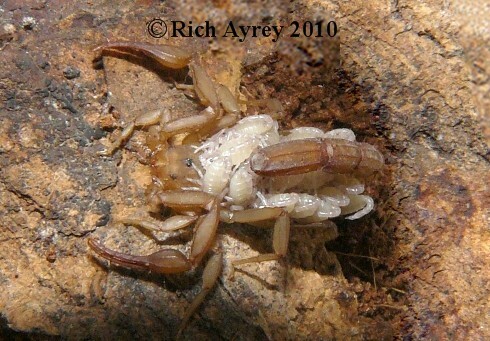 The pic of this small Arizona scorpion was taken in Southern Arizona. The name was recently changed from Serradigitus allredi to Stahnkeus allredi. It was found walking about at 9:30 PM with an A49 Scorpion Blacklight. The second photo is of the same female with 1st instar young. We are fortunate to have this photo of a rare Arizona Scorpion. This site copyright Rich Ayrey 2008-20017 Flagstaff, Arizona. 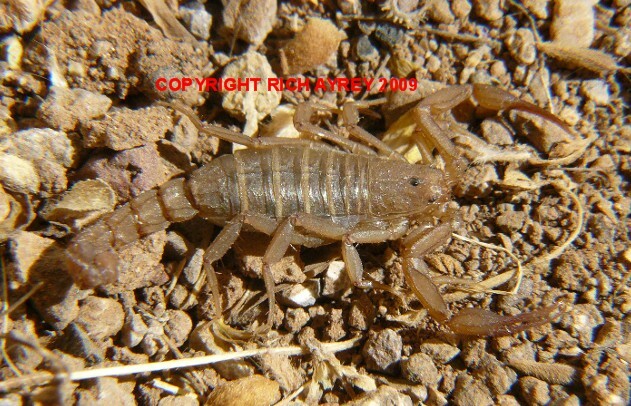 This Arizona Scorpion page created 05/13/08.